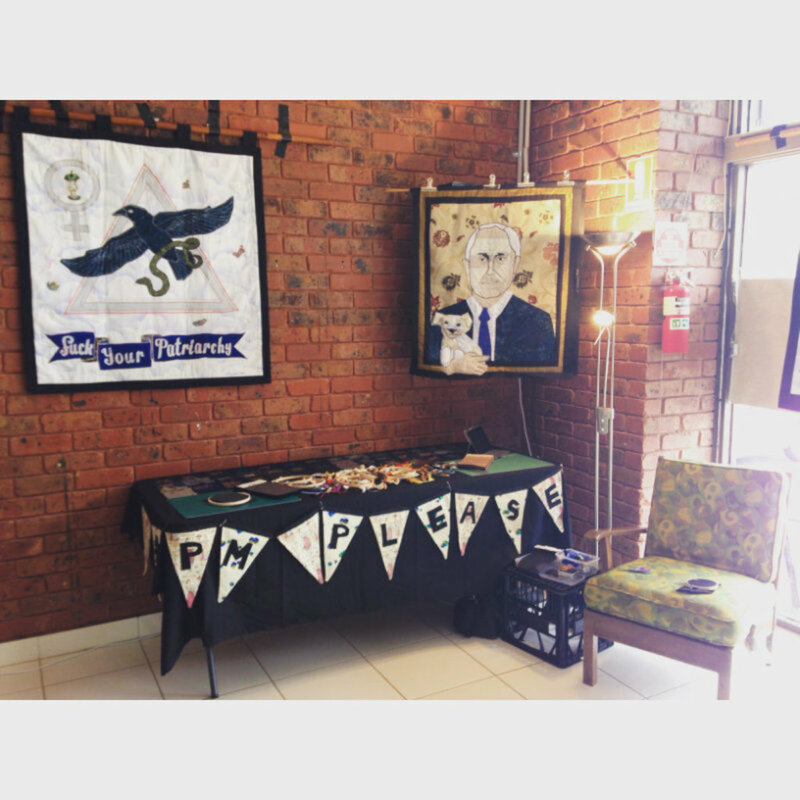 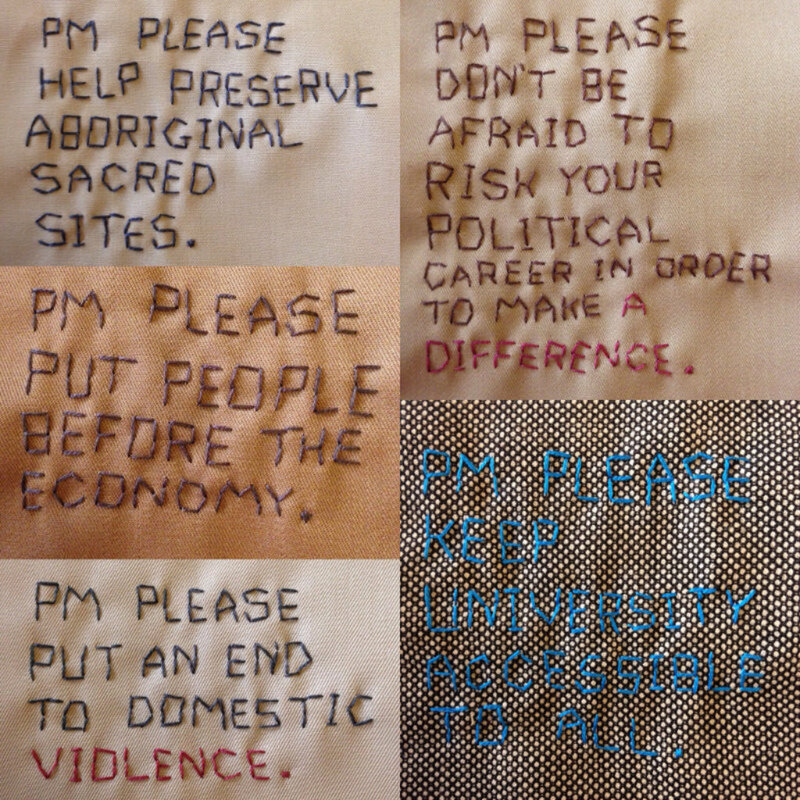 The PM Please quilt is now on display in our Prime Ministers of Australia exhibition space. 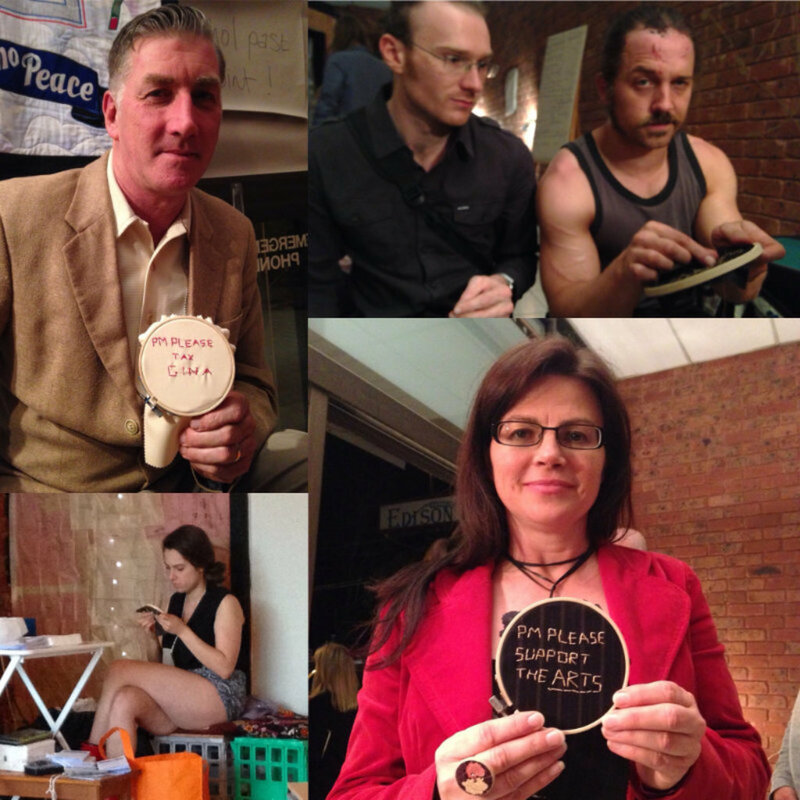 This blog post was originally published on Tal Fitzpatrick's website. 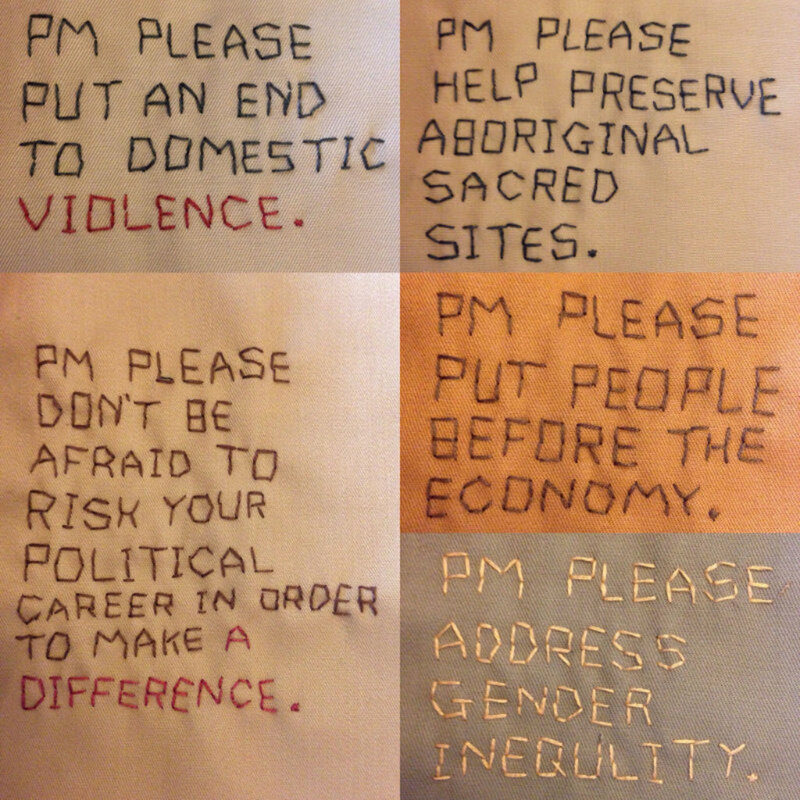 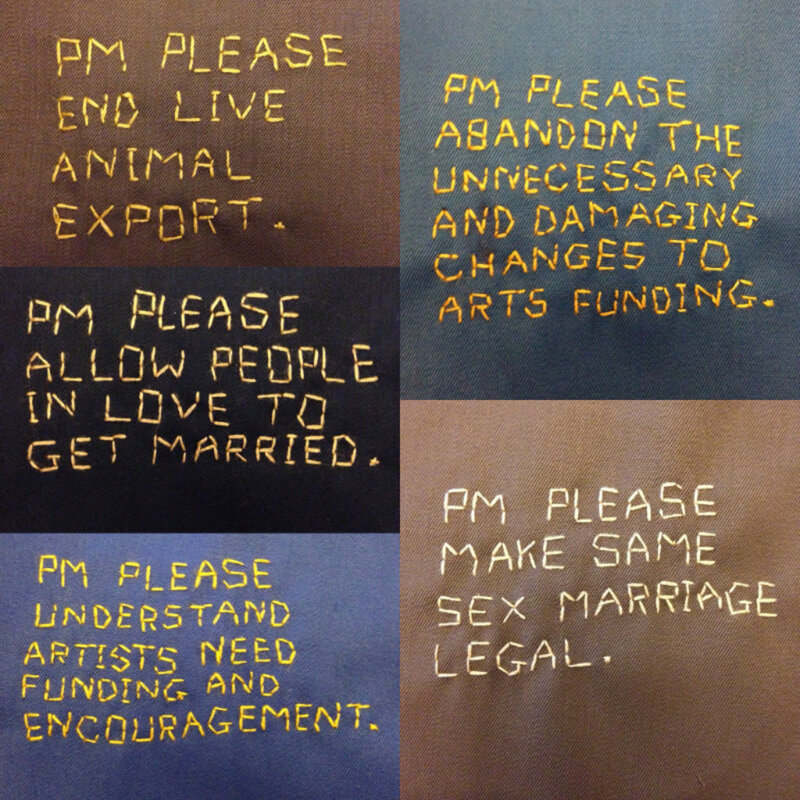 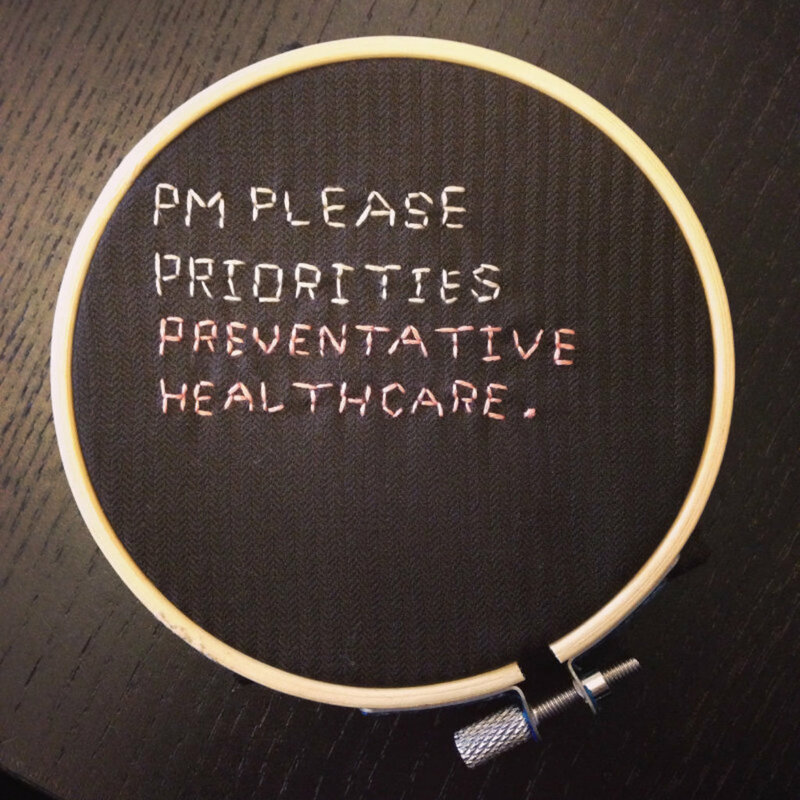 The Prime Minister Please (PM Please) quilt is a socially engaged artwork made in the style of an Australian wagga quilt. This quilt was created as a gift for the newly appointed Prime Minister Malcolm Turnbull in October 2015. 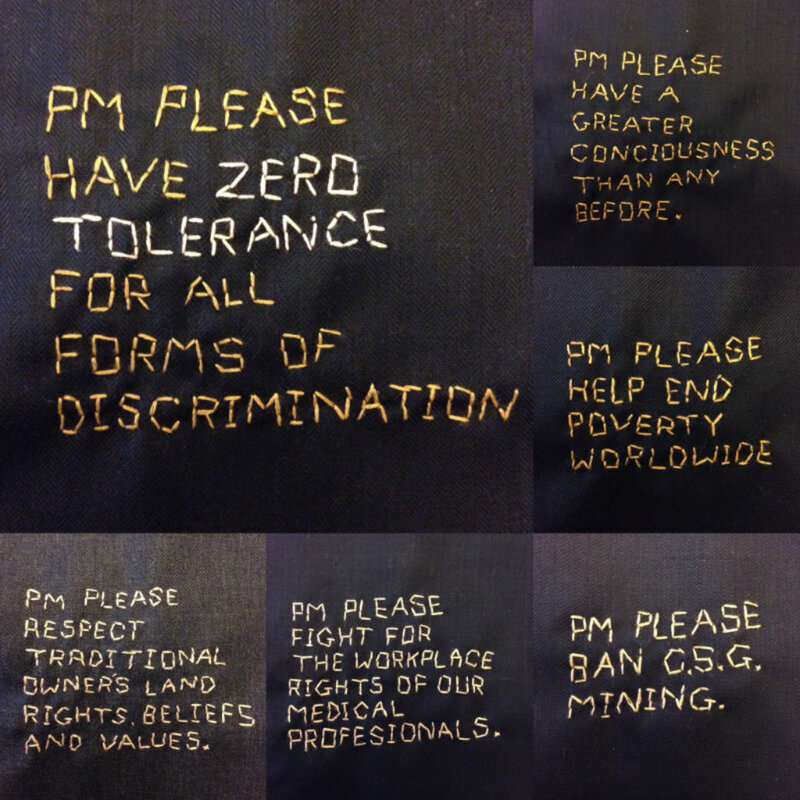 This quilt was made using second-hand ties and suit swatches and is adorned with 121 hand-stitched messages to the prime minister, each beginning with the words PM Please. 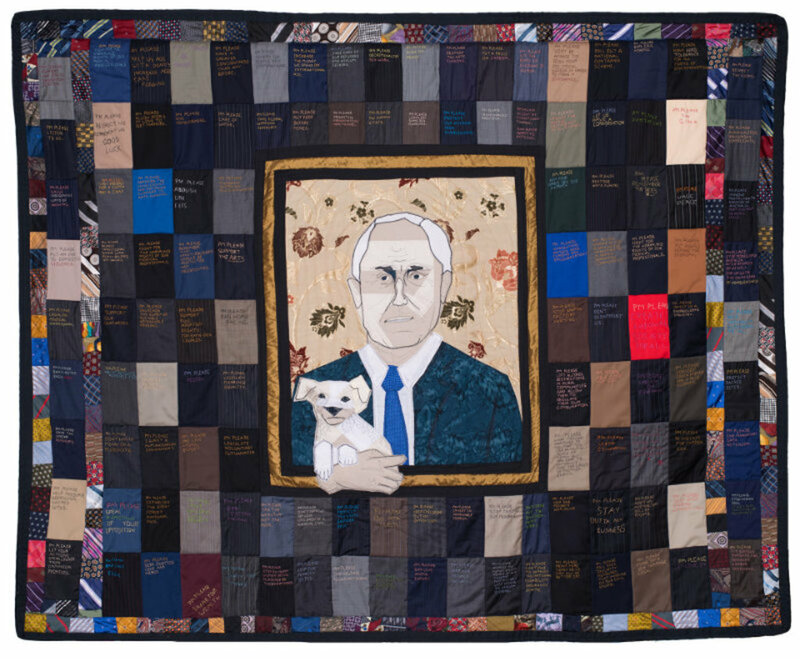 On the 20th of March 2017 the quilt was donated by the artist, on behalf of the PM and the people who contributed to this project, to the Museum of Australian Democracy, Old Parliament House, Canberra. 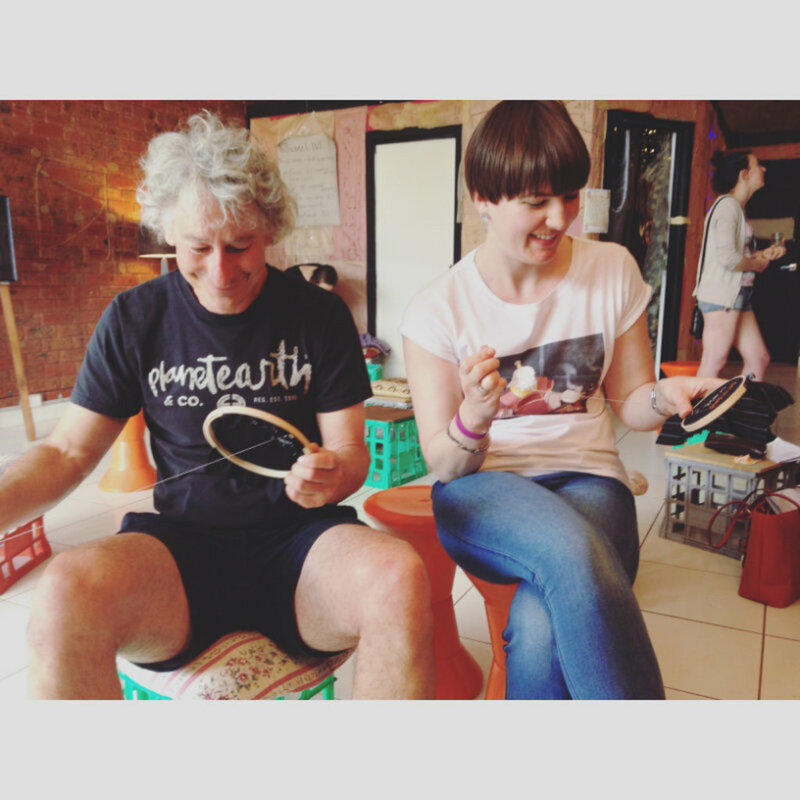 With this project idea in mind I successfully put forward an application to perform the making of this work as part of the HillsceneLIVE art festival which was held in Monbulk, VIC on the 30th of October 2015. 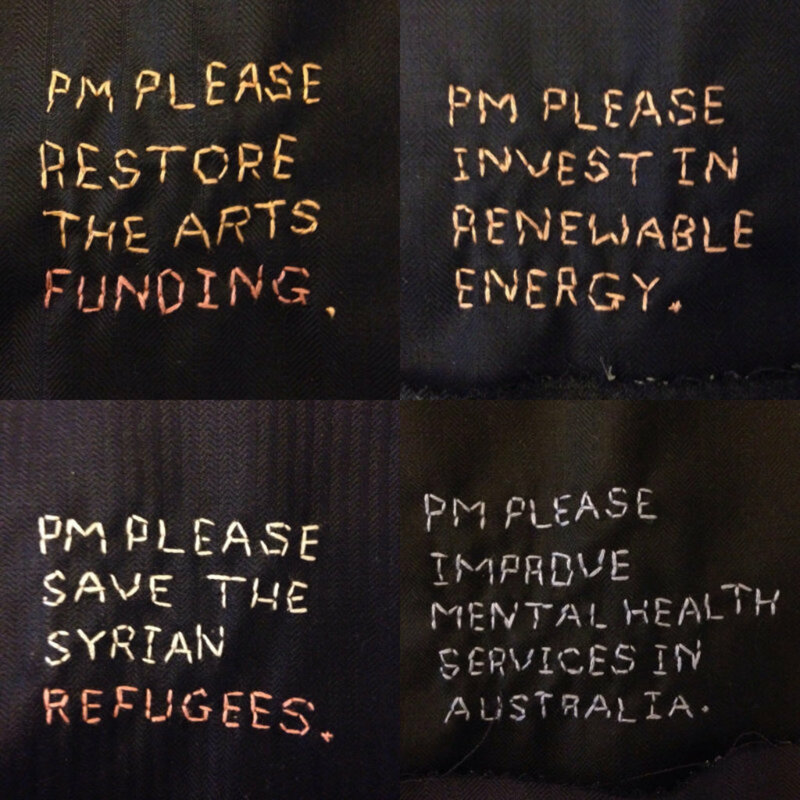 In the three weeks leading up to the festival I used social media to collect a total of 121 messages for the quilt. 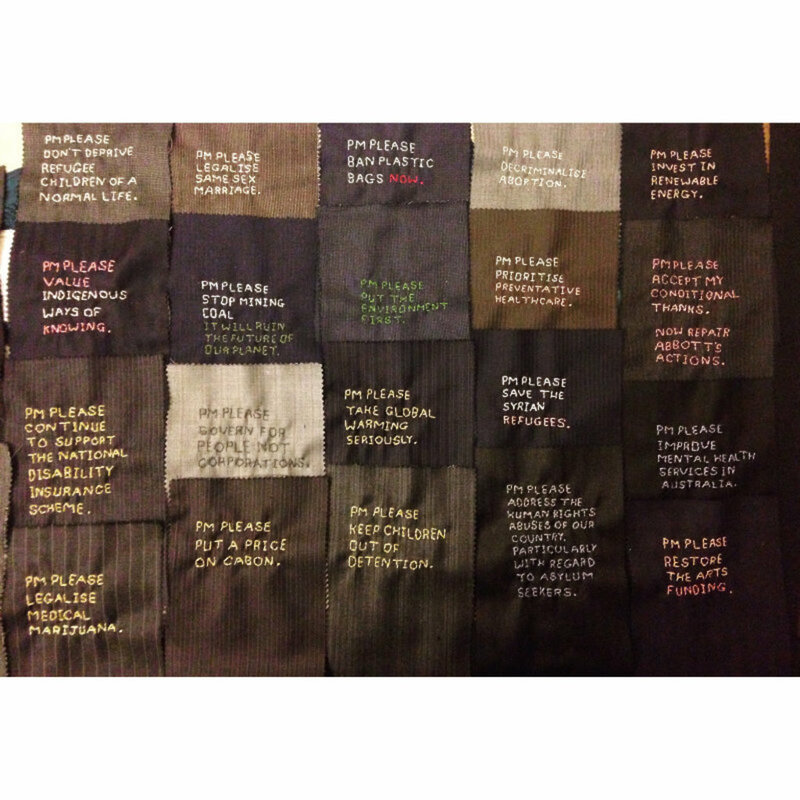 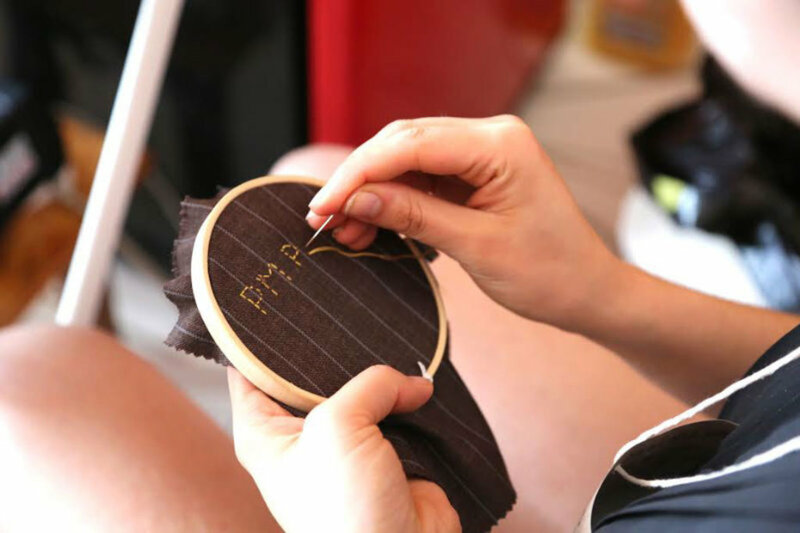 With the help of 23 festival goers, I hand-stitched every single message I received onto suit swatches without making any changes or omissions to the messages I was sent. 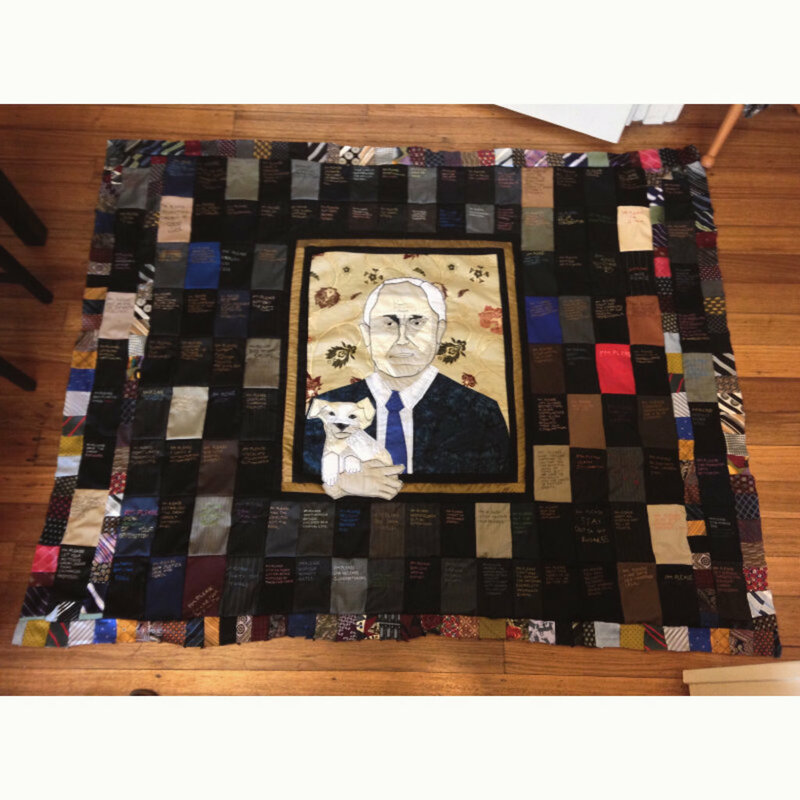 I then used these embroidered suit swatches, along with a bundle of second-hand ties as patches for the quilt which also features an appliqué portrait of Turnbull holding beloved dog Mellie, who sadly passed away in 2013. 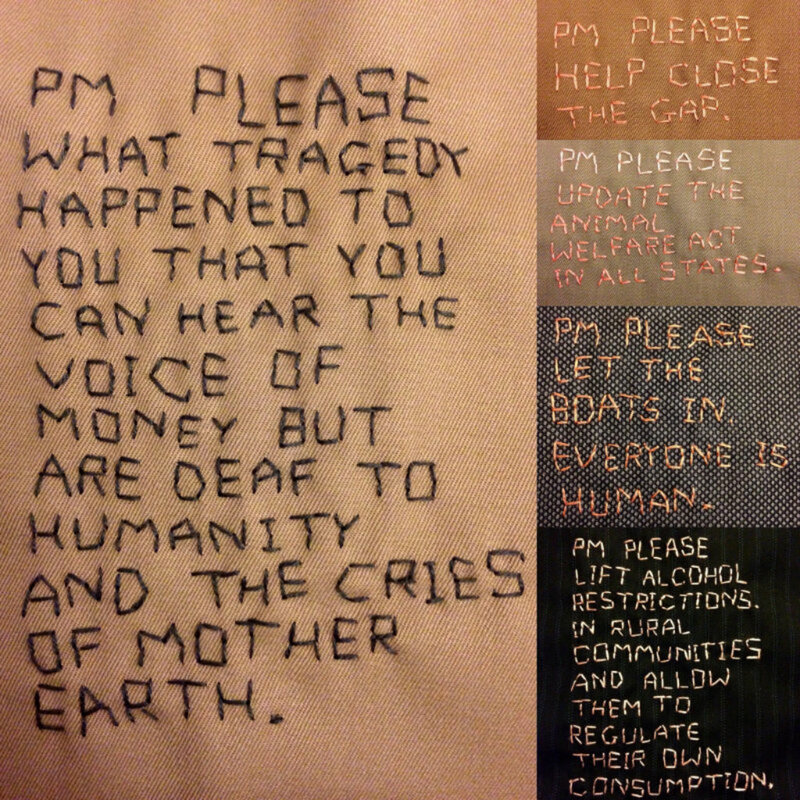 Tal Fitzpatrick is an artist, craftivist and community development worker based in Melbourne, Australia. 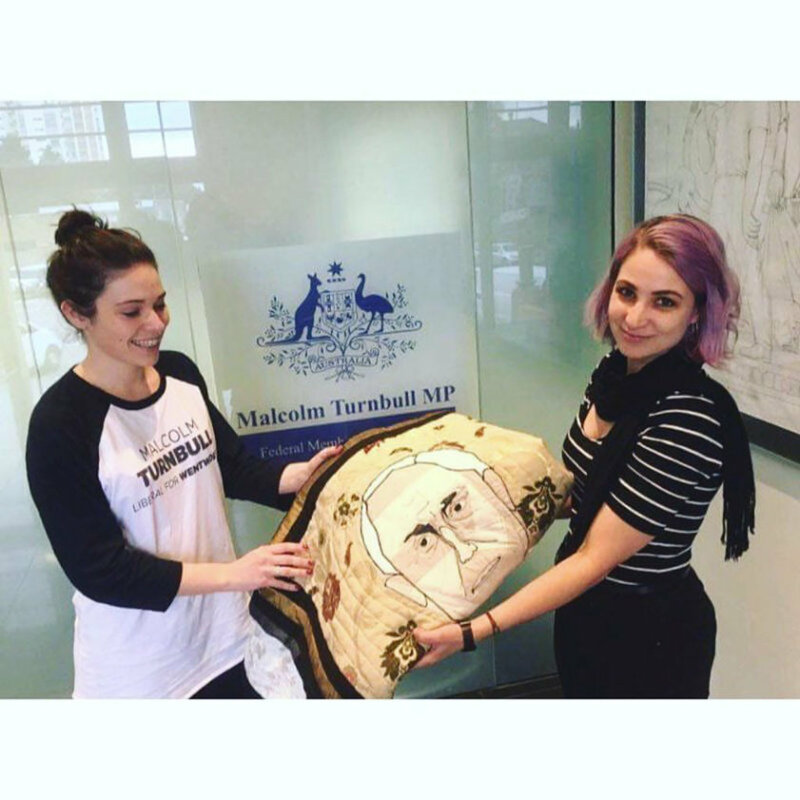 Tal is currently a final year PhD candidate with the Centre for Cultural Partnerships at the Victorian College of the Arts (VCA), University of Melbourne.